No one had ever built such an advanced business jet. And no one has since. 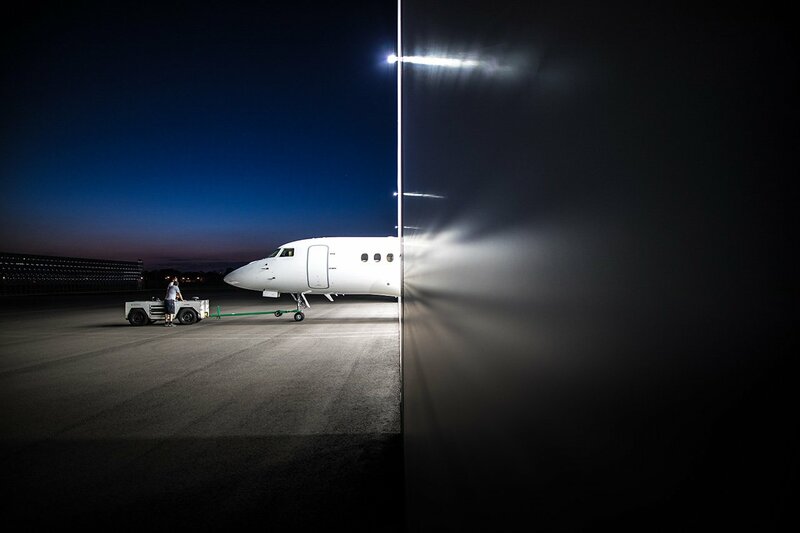 Today, over 270 Falcon 7X aircraft are in service in 41 countries. The fleet has performed some 550,000 flight hours and presents excellent dispatch reliability. 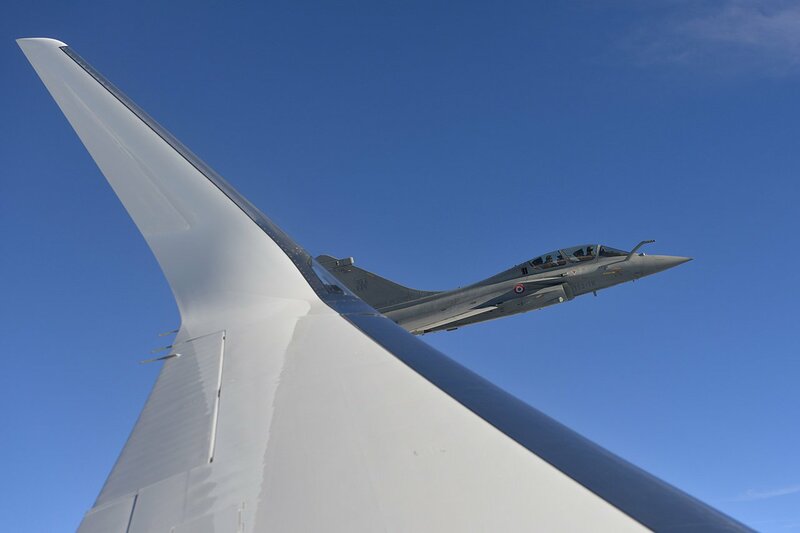 And a growing number of operators worldwide are discovering they need not compromise small-jet agility and efficiency for long-range comfort and capability. Now a mature and proven aircraft platform, the Falcon 7X is still the most advanced — still the business jet benchmark for the 21st century. 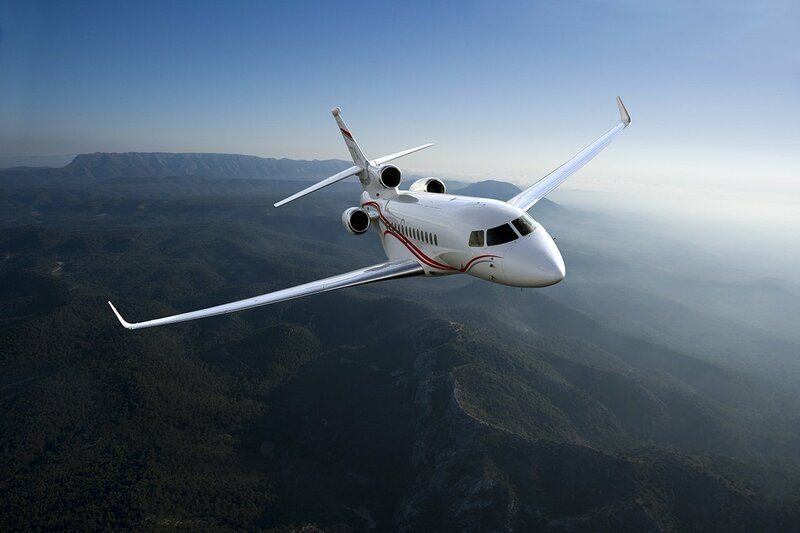 From nose to tail, wingtip to wingtip, the Falcon 7X is pure elegance, efficiency, and performance. The following specifications physically define the world’s most technologically advanced business jet. 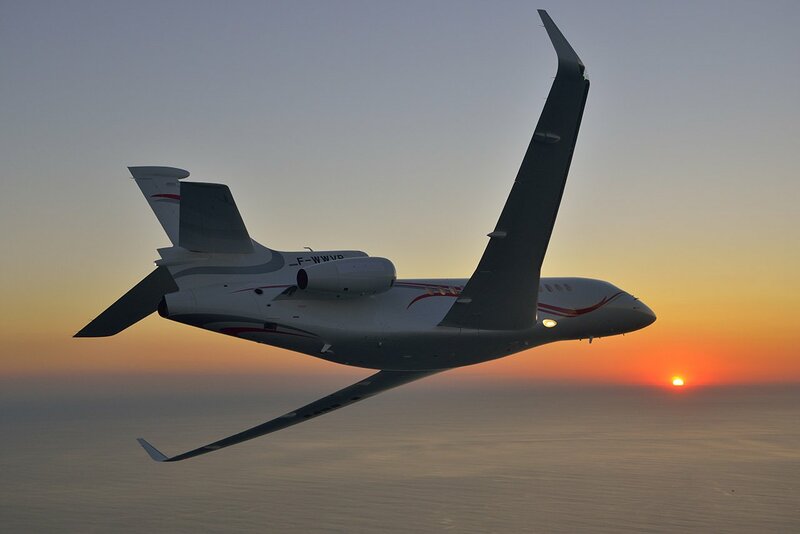 Unique flexibility allows the Falcon 7X to perform varied missions easily. 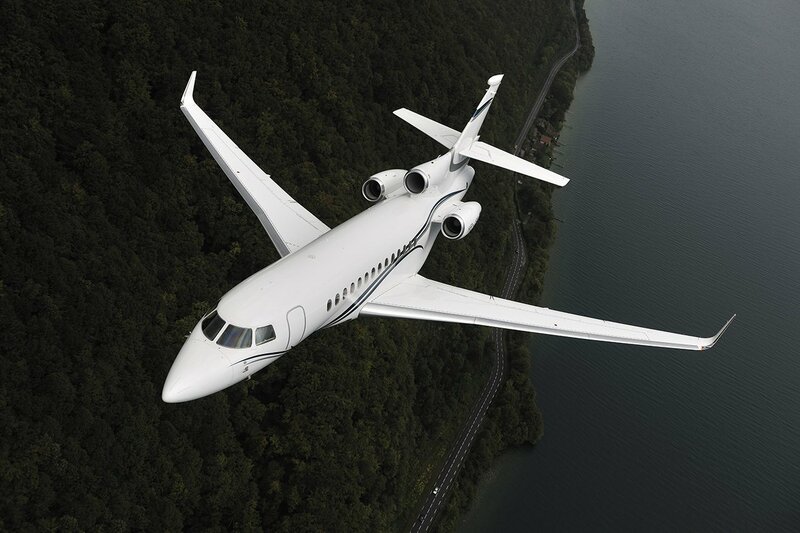 And with fuel consumption 15-30% lower than other jets in its class, it dramatically lowers operating costs. Farther. Faster. And better connected. 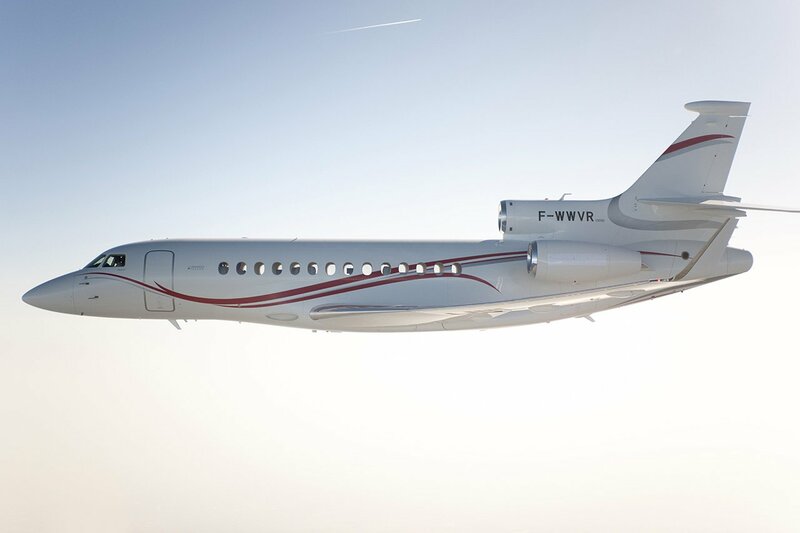 The Falcon 7X is designed to fly 5,950 nm (11,019 km), linking city pairs such as Paris-Tokyo, Shanghai-Seattle, New York-Jeddah, and Johannesburg-London, with a payload of eight passengers and three crew. With a .90 Mach Maximum Operating Speed (MMO), the Falcon 7X can also cover shorter distances to get you faster where you need to be. When it comes to landing, slower is safer. At typical landing weight, the approach speed of the 7X is only 104 knots (193 km/h). It can land and stop in just 2,070 feet (630 m). As a result, it can access hundreds of airports other jets cannot, including those with hot and high conditions, steep approaches and stringent noise restrictions. The 7X is the only aircraft in its class able to reach New York, from London City Airport. The 7X can land at almost 90 percent of its maximum takeoff weight. So it can perform multiple short and long flights without having to refuel. Fuel consumption 15 – 30% lower than other jets in its class. Falcon’s Enhanced Vision Systems (EVS) improves safety margins and provides unrivalled situational awareness. It gives pilots a clear ‘heads up’ picture of the environment at night and in bad weather conditions such as fog, haze and snow. Intuitive, interactive and intelligent. 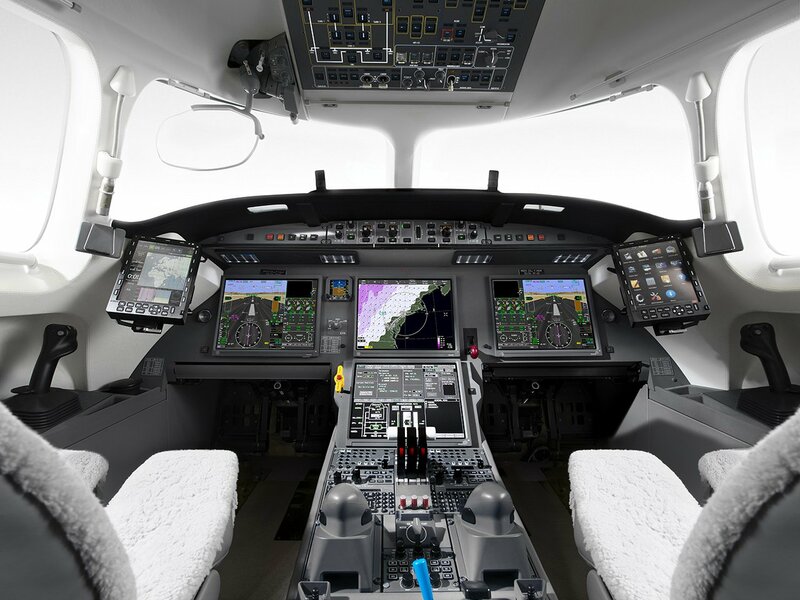 Falcon’s EASy II flight deck - derived from Dassault jet fighter Man-to-Machine Interface - redefines the business jet cockpit and sets new standards in terms of intuitive flying and situational awareness. The Falcon Digital Flight Control System radically improves the way pilots interact with the aircraft. Just as in a fighter jet, the pilot simply moves the stick in the direction in which he wants the aircraft to fly and the computers make sure the plane reacts precisely to these instructions. The overall result is reduced workload, more precise control of the aircraft and improved safety. The Falcon 7X cabin is a high, wide and handsomely-proportioned executive suite- featuring three spacious lounge areas. It features the highest standards of comfort, quality and style, including an innovative environmental system with an in-flight cabin altitude of just 4,800 feet at 45,000 ft,as well as an advanced ‘quieting acoustics’. Falcon tri-jets provide slower, safer approach and landing speeds. Their three-engine configuration gives peace of mind on long routes over water and uninhabited areas. Advanced wing and fuselage shaping plus leading-edge slats and double slotted Fowler flaps deliver substantial benefits throughout the flight regime. Three powerful, reliable, 6,400-pound thrust Pratt & Whitney Canada PW307A turbofans power the Falcon 7X. They give it superb short-takeoff muscle, ocean-spanning stamina and a whisper-quiet ride. The exclusive Digital Flight Control System (DFCS) gives pilots maximum performance when fast, instinctive reactions are needed, and automatically dampens turbulence for a smoother ride. This new-generation high-transonic wing is 30% more efficient than the previous generation. This allows the 7X to fly at higher Mach speeds at high altitude and with less fuel. The high-transonic design also gives the 7X the slowest, safest approach speeds of any jet of its size. Dassault Falcon’s EASy flight deck is a revolutionary man-machine interface, which dramatically improves situational awareness, decreases pilot workload and enhances crew coordination. EASy II, its second generation, offers a host of new functionalities and features designed to further increase safety and situational awareness while taking advantage of next-generation technologies within the air traffic management system. New to EASy II are improved display symbology with Synthetic Vision System, a temperature compensation update to the Flight Management System, and advanced Take Off and Go Around (TOGA) mode. EASy II supports the latest communications protocols mandatory over a growing number of airspaces, including Automatic Dependant Surveillance – Broadcast (ADS-B) out which reports aircraft position to supplement radar coverage; Aeronautical Telecommunication Network (ATN B1) Controller Pilots DataLink Communications (CPDLC) which reduces miscommunication by allowing Air Traffic Control (ATC) communicate with pilots via a text-based protocol. The LPV/GPS approaches available with EASy II permit lower minima than standard RNAV (GPS) approaches, significantly increasing the number of accessible airports, particularly in adverse weather conditions. Compatibility with the Wide Area Augmentation System (WAAS) over the US and the European Geo Navigation Overlay System (EGNOS) means the number of airports at which the 7X can make precision approaches is growing rapidly. And this option is expected to be compatible with other future Satellite Based Augmentation Systems (SBAS). EASy II also supports options such as integrated graphical XM® Weather; dual Jeppesen charts, Automatic Descent Mode (ADM), and the new ATC data communications capabilities on remote and oceanic routes support both CPDLC and ADS-C services available in FANS 1/A+ airspaces. In addition to optimizing airspace occupancy, this feature saves operators time and fuel by helping to reduce flight time with preferred, more direct routing. Delivering 6,400 pounds of thrust each, three Pratt & Whitney Canada PW307A turbofans power the 7X to new levels of performance and efficiency. These rugged engines have logged more than 7 million hours. So reliable, their time between overhauls is 7,200 hours (typically 14 years of operation). So quiet and so clean, they exceed stringent noise regulations and emission standards. So dependable, they include an outstanding warranty, guaranteed maintenance plan and worldwide support from Pratt & Whitney Canada. 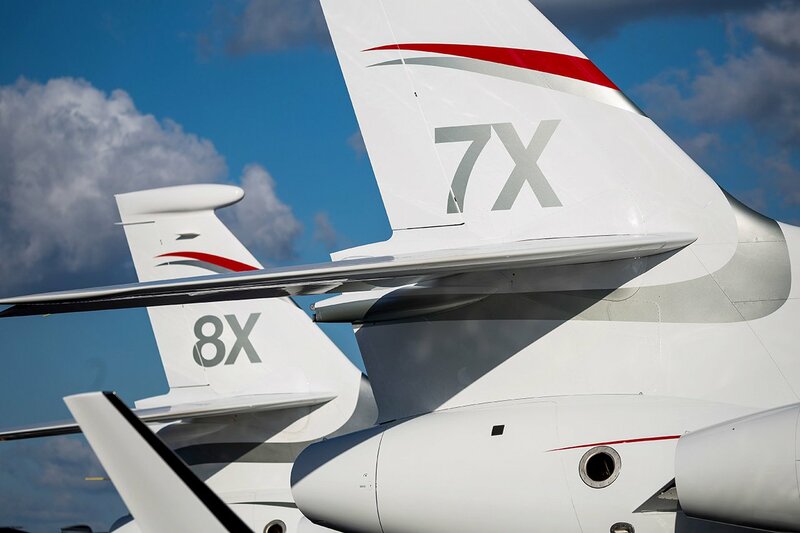 The industry’s first fly-by-wire business jet, the 7X and its Digital Flight Control System offer significant benefits. Not only does the 7X handle like a fighter jet, it’s controlled like one. In the cockpit, the pilot’s hand falls naturally on a side-stick controller. Pilots love the 7X intuitive responsiveness and precision. Passengers appreciate its silk-smooth ride and the contribution such an advanced technology makes to aircraft safety. Intuitive, ergonomic, precise — this is the way to fly. Our advanced cabin management system provides a full complement of entertainment and connectivity tools in an exceptionally user-friendly format. Work, relax, manage cabin features, track flight progress and communicate — and do it all using your own portable devices from anywhere in the cabin. FalconCabin HD+ also includes Skybox, the media server with vast iTunes video and music capacity. Designed for lengthy missions, the 7X is your home away from home — especially when equipped with options such as a second lavatory or an on-board shower to ensure you arrive refreshed and at your best. Organized into three lounges, accommodating 12 to 16 passengers, the expansive interior of the Falcon 7X allows you to tailor your cabin to your exact needs. To further personalize your travel environment, a selection of elegant interiors is also available.